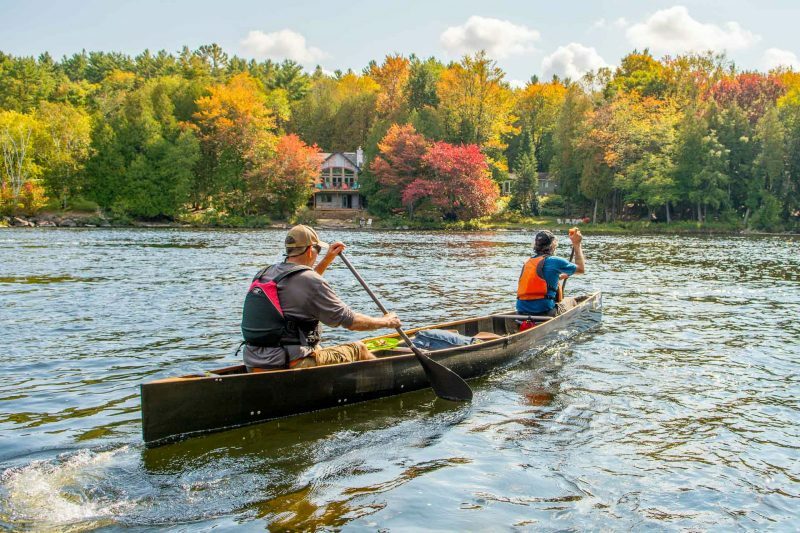 The Sixth Edition of the Algonquin Outfitters Muskoka River X is filled with surprises. 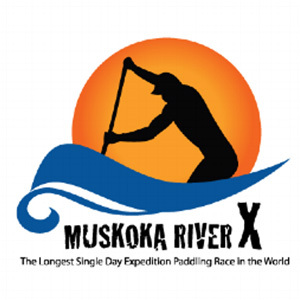 MUSKOKA ON, Sept 10, 2018 ― The Algonquin Outfitters Muskoka River X (AOMRX) has a few surprises up it’s sleeve for it’s sixth year. 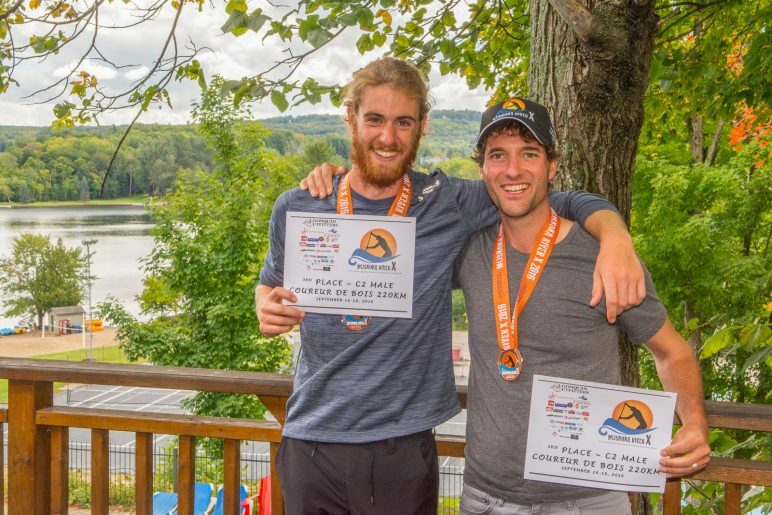 Organizers, Mike Varieur and Rob Horton, have provided a fresh new experience for participants and spectators for 2018. 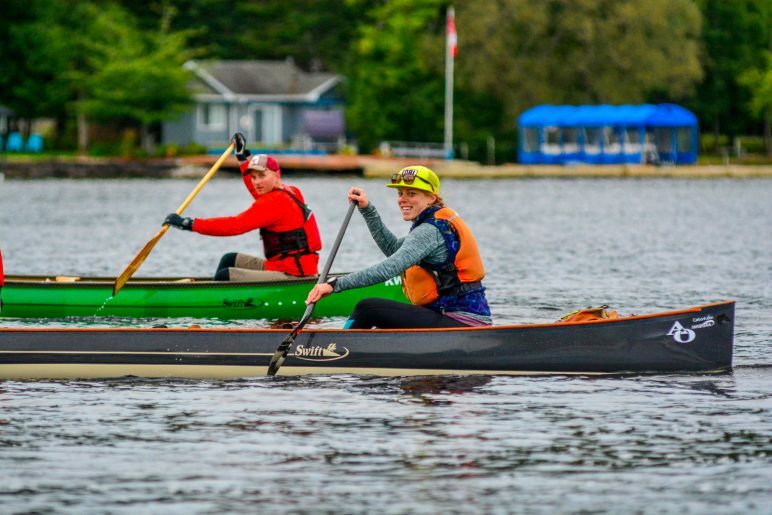 Traditionally, the AO MRX Classic is a 132km ultra-marathon paddling race for canoe, kayak and stand up paddleboard with a clock-wise route starting and finishing at the Huntsville town dock following both the South Muskoka and North Muskoka Rivers. 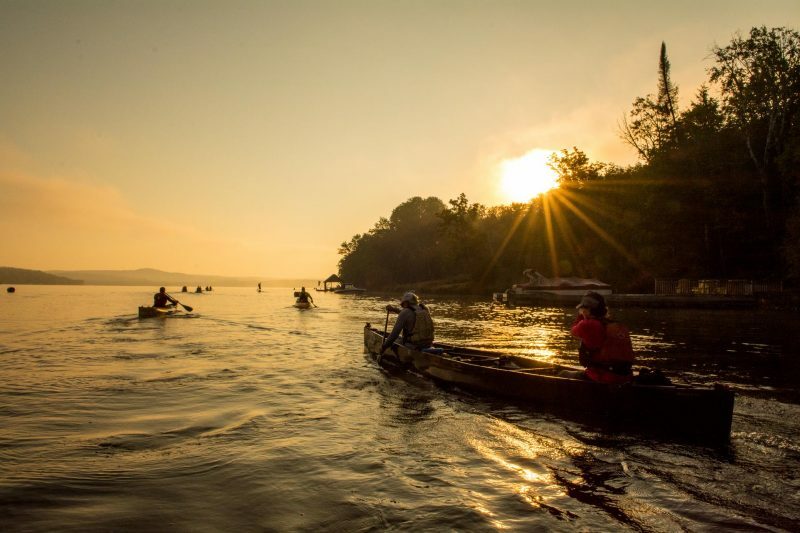 Billed as “The longest single day expedition paddling racing the world”, the race attracts over 70 teams from across Canada and around the world. New for 2018, the organizers have reversed the route to a counter-clockwise direction that they call the “B-side” in a reference to popular vinyl records where the record would rotate in the opposite direction for songs played on the “B” side. The classic race will start and finish at the waterfront of the Hidden Valley Resort on Peninsula Lake. 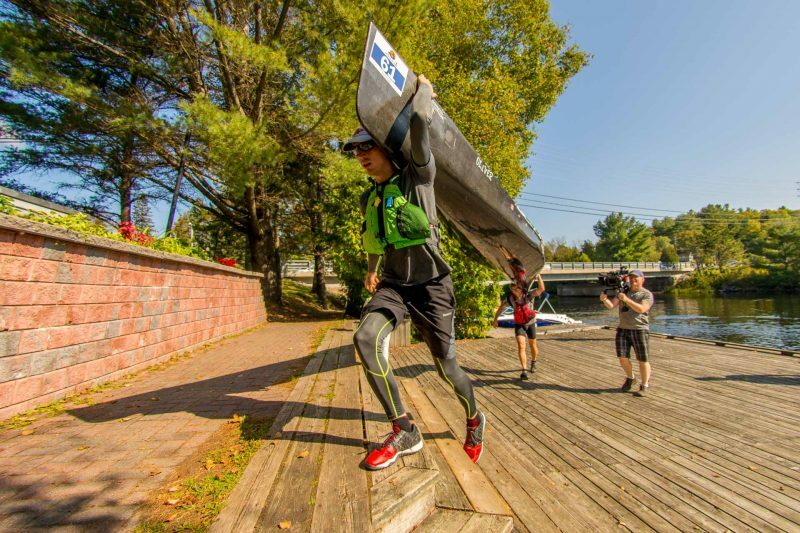 Teams will then head West across Fairy Lake to a waypoint at the Algonquin Outfitters dock in downtown Huntsville where they will turn 180 degrees, head South and take the North Muskoka River to Bracebridge via Port Sydney. 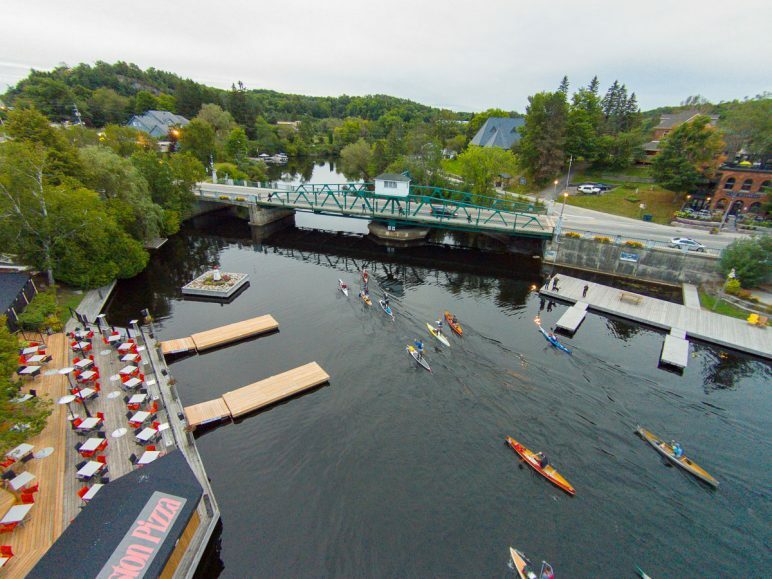 Teams competing in the 58km “Sprint” will finish below the beautiful Bracebridge Falls. 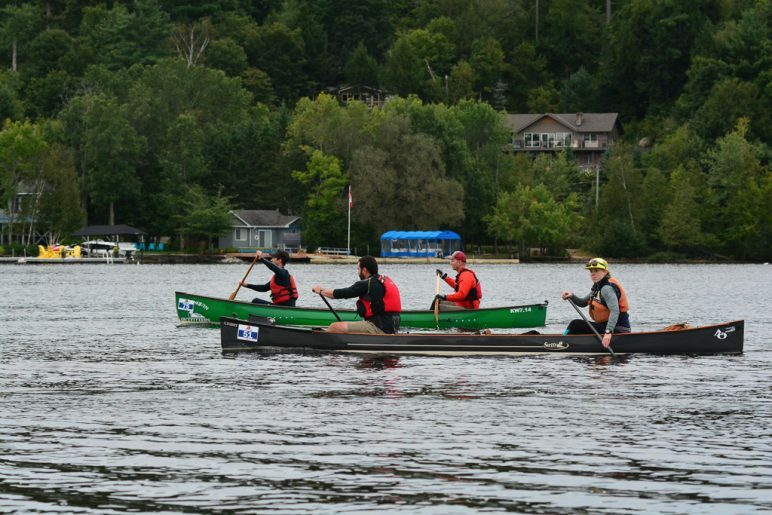 Teams in the Classic race will continue up the South Muskoka River to Baysville, across Lake of Bays, portage along the traditional North Portage route back to Peninsula Lake and finish again at the Hidden Valley Resort. 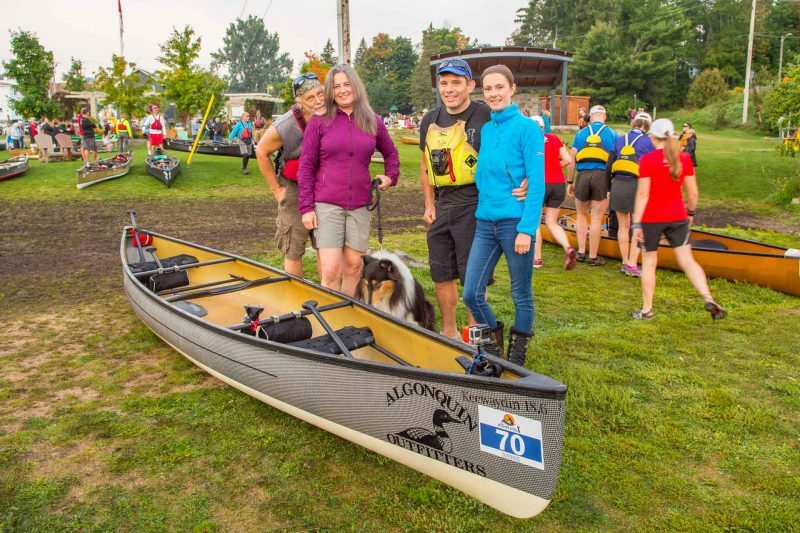 Spectators and cottagers are encouraged to cheer teams on along the route, but should keep in mind that teams are completely self-supported and transport a sizeable quantity of required gear including food, water, and safety equipment. Each team carries a GPS tracker from UK-based, YB Tracking Inc, which feeds a live map available on the race website. Teams are required to navigate these traditional fur trading and steamship routes using only map and compass even through thick fog and pitch-black overnight conditions. 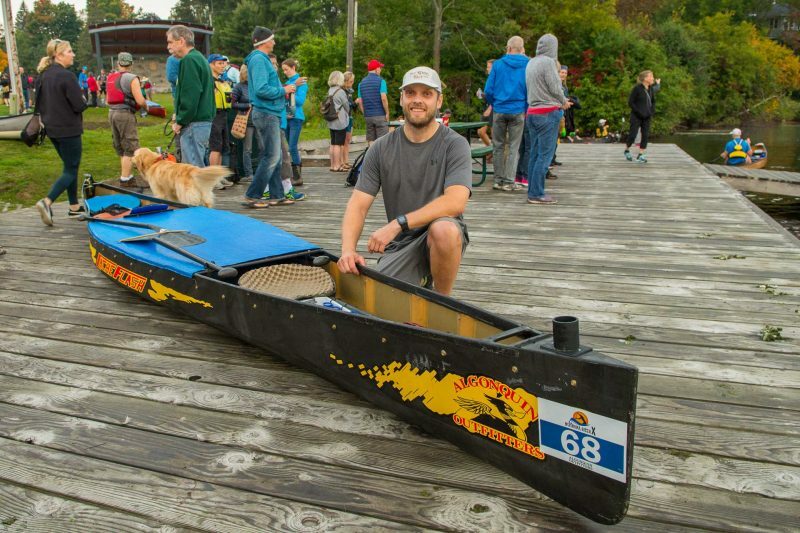 The race was developed to honour the legendary voyageurs and coureur des bois that followed these traditional transportation routes to transport furs and trading goods throughout the area. 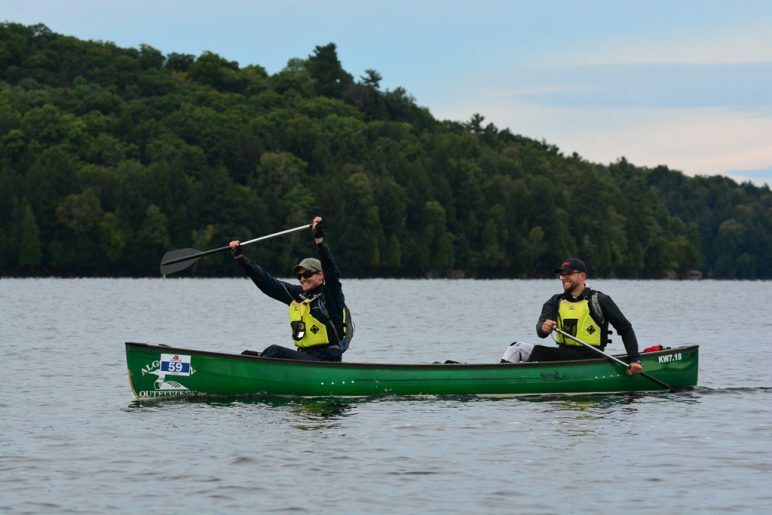 The organizers are excited to add a deeper experience for participants in what they call the Voyageur Class. 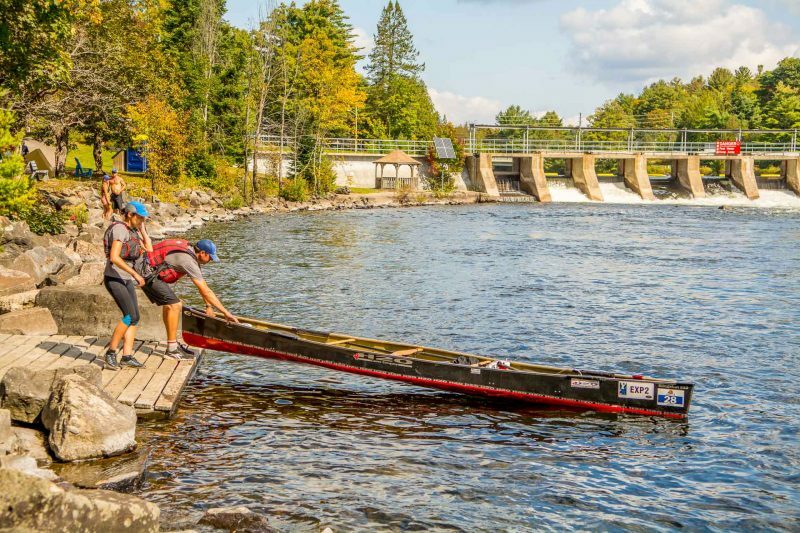 Two canoe teams have opted into the class this year that will see them pickup a sealed wooden crate, filled with goods produced in Muskoka, from the Huntsville town dock. Weighing over 30 pounds, the contents of the crate will be a secret, until it is successfully transported through the classic route via Port Sydney, Bracebridge and Baysville to its final destination at the Hidden Valley Resort where it will be opened and given to the team to enjoy. 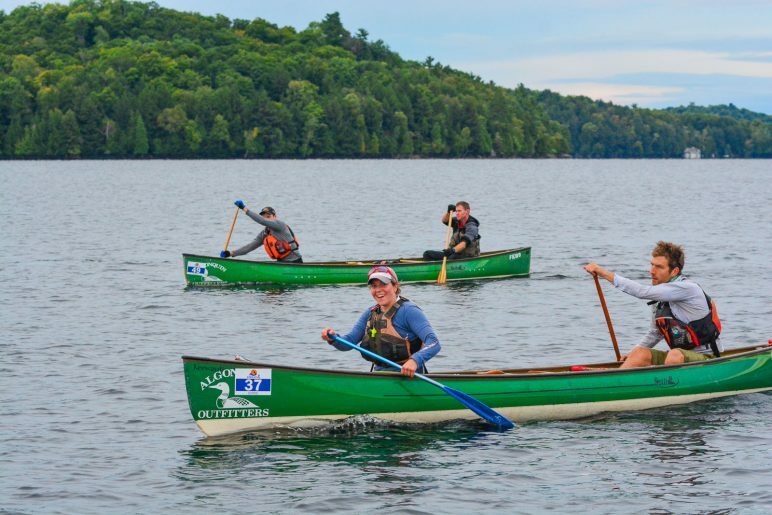 The homegrown event raises money for the Muskoka Watershed Council and has dozens of sponsors including Algonquin Outfitters, H20 Canoe Company, Kahuna Paddleboards, Salus Marine, The North Face, Gemini Lights, Ripple FX Paddles, Badger Paddles, Camelbak and Lake of Bays Brewing Co. The races begin on Saturday September 15th at 7am from the Hidden Valley Resort. 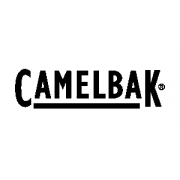 Spectators are encouraged to cheer teams along the course starting at the Algonquin Outfitters Huntsville Store at 7:45am. 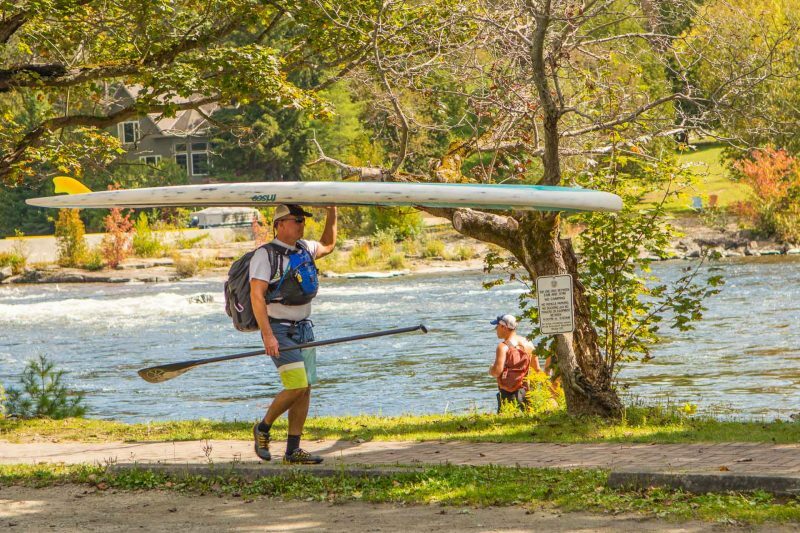 Residents and cottagers note that paddlers would be navigating the North branch of the Muskoka River from Huntsville to Port Sydney to Bracebridge on Saturday morning and afternoon. 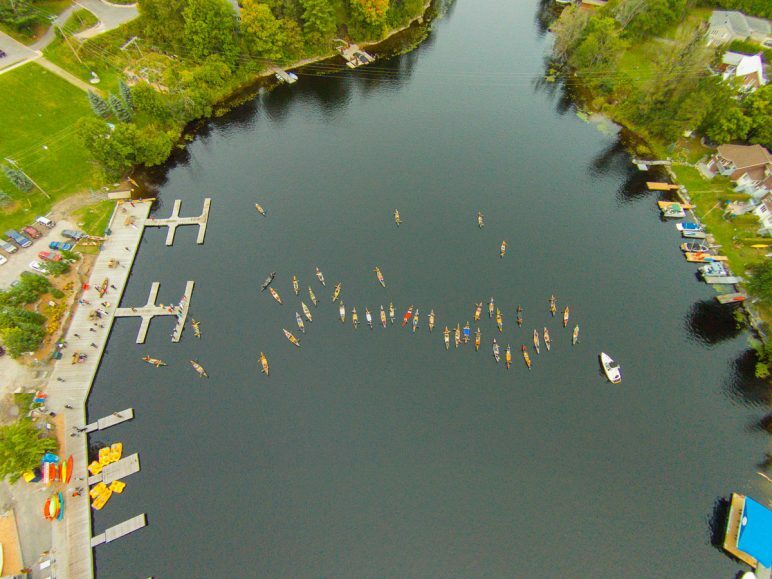 Paddlers in the Classic event will travel north from Bracebridge to Baysville to Hidden Valley Resort Saturday evening and overnight. Show you support with an Algonquin Outfitters MRX dock party! 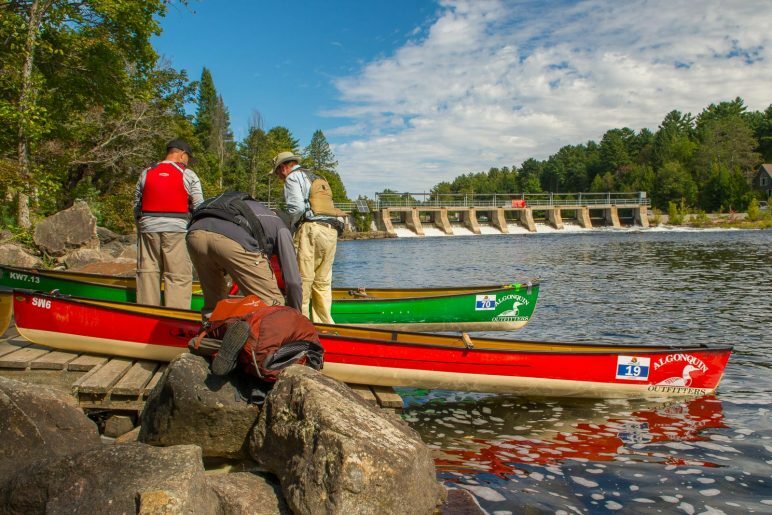 The organizers kindly ask power boaters in the area to give the paddlers extra space when passing throughout the weekend.